FORMER PBA teammates of big man Cris Bolado expressed shock and grief upon learning of his untimely passing on Sunday in PhnomPehn, Cambodia. 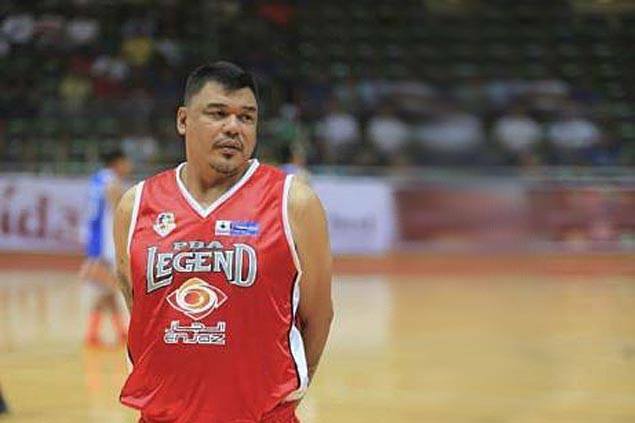 Four-time league MVP Alvin Patrimonio and Mythical Team member and All-Star Jeff Cariaso were both surprised upon learning of Bolado's death. Reports said the 6-foot-7 former National University standout died in a motorcycle accident in the Cambodian capital, where he has been travelling back and forth after opening a restaurant business there named Inasal Nation: Home of authentic chicken inasal. He would have turned 48 this October 25. "Nakakalungkot na balita yan," said Patrimonio, when asked by spin.ph if he had already got wind of the news about Bolado's death shortly after Star's 104-99 loss to TnT Katropa in the Governors Cup Sunday at the Ynares Center in Antipolo City. Cariaso meanwhile, took to tweeter in condoling the family and loved ones left behind by his former Alaska teammate. "Sadden by the news that my former teammate and good friend Cris Bolado has passed," said Cariaso in his account @thejet_22. Cariaso, one of coach Alex Compton's deputies at Alaska, added the hashtag #gentlegiant and #luckycharm to his tweet. Indeed, Bolado was considered lucky charm by most of the teams where he suited up for winning a championship with them. A second round pick (13th overall) by Alaska in the 1994 draft, Bolado won seven straight conference championships, from the Governors Cup during his rookie season all the way to the 1997 Commissioner's Cup. He was with Alaska from 1994 to 1996 and bagged five consecutive titles with the team, including the grand slam in 1996. Bolado and Cariaso were teammates at Alaska for two seasons (1995 and 1996). The following season, Bolado transfered to Purefoods, where he won the 1997 All-Filipino crown with Patimonio. 'Cap' vividly remembers that season. "Kasi after niya manalo ng all-Filipino title sa amin, I think na-trade siya sa Gordon's Gin nung Commissioner's Cup (second conference), and then nag'champion din yung team. Kaya nga siya tinawag na lucky charm, di ba?," recalled Patimonio, now the Hotshots' team manager. Bolado won two more championships after that, bringing the total of titles he won from 1994 to 2003 to nine overall. Aside from Alaska, Ginebra and Purefoods, Bolado also saw action for Pop Cola/Coca-Cola, San Miguel, and Red Bull. He had career averages of 2.4 points and 2.1 rebounds. Owing to his heft, size and popularity, Bolado also got offers to do TV projects and movies, once starring in the film Anting-Anting with Michael V, At Your Service and The Fighting Chefs with Ronnie Rickets. He also joined The Survivor Philippines: Palau in 2008, but failed to win. Bolado's remains were still in Cambodia at posting time, but will be flown over to the country where his wake will be held in his native province of Lucban, Quezon.